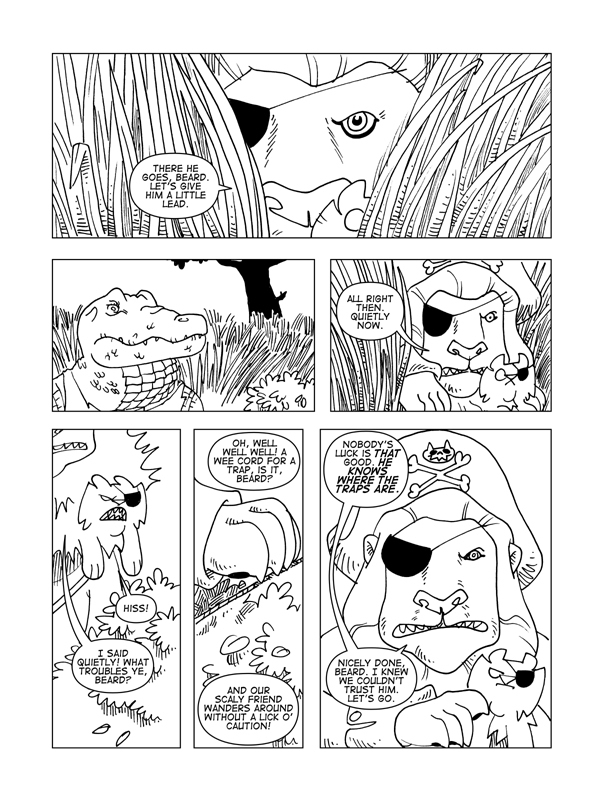 Claws And Effect, Page 20 – Catbeard the Pirate! The beard is a handy little critter to have around! It’s almost an unfair advantage for the good captain. For those of you waiting word on Catbeard Book Two, I’m getting the surveys sent out a little at a time, because the book is ready to assemble and send to the printer! Wooooooo! One step closer to the second volume of Catbeard’s adventures! See you Wednesday for the continuation!